In recent years concern has surfaced about the fluoridation of water in America’s communities. There is now a movement to remove the fluoride in the Dallas water supply. Fluoride has been used for many years in water supplies to help prevent cavities and promote good oral health. But is it really effective, and is it safe? Studies have shown that fluoridation has a proven track record of effectiveness and safety. Fluoride is a naturally occurring mineral and is present in most natural water sources. It is the 13th most common element present in the earth’s crust. It is naturally found in soil, foods, and water. The fluoride added to drinking water supplies is a synthetic compound and studies have shown a reduction in cavities in areas with fluoridated water. 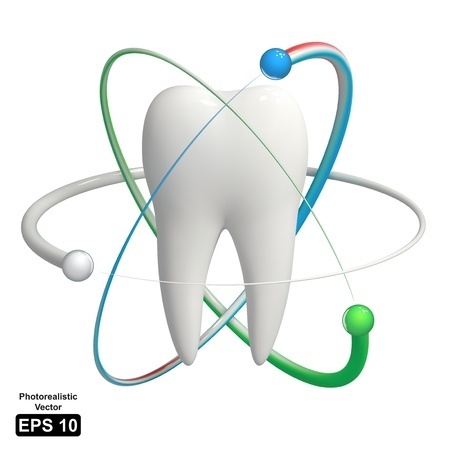 How Does Fluoridation Prevent Cavities? Fluoridation helps protect teeth by altering developing enamel to make it more resistant to acid in the mouth. Acid is naturally caused by the bacteria in your mouth combining with sugar from the food you eat. This acid can break down your teeth’s enamel and contribute to the formation of cavities. Fluoridation helps to strengthen and remineralize your teeth. Remineralization occurs from the fluoride collecting in the weakened areas of your teeth, and this helps to strengthen the enamel. In children fluoridation helps to encourage stronger enamel and teeth which are resistant to acid erosion. It also reduces the ability of the bacteria present in the mouth to produce the damaging acid. "The American Dental Association unreservedly endorses the fluoridation of community water supplies as safe, effective and necessary in preventing tooth decay. This support has been the Association's position since policy was first adopted in 1950." The ADA further states that the level of fluoride in the country’s drinking water is at a low level and poses no health risk to the population. Unlike some claims, fluoride present at the levels in the country’s drinking water has not been shown to lower intelligence or cause other significant health issues. While exposure to high levels of fluoride can cause serious health issues, the percentage of fluoride in America’s drinking water is nowhere near this level. While it is understandable for you to have concerns about fluoridation in the Dallas water supply, Lakepointe Dental feels fluoridation of drinking water is beneficial and helps to prevent the formation of cavities. If you have any questions about the fluoridation of drinking water or the safety of fluoridation, feel free to contact us or call at 512-263-7896.